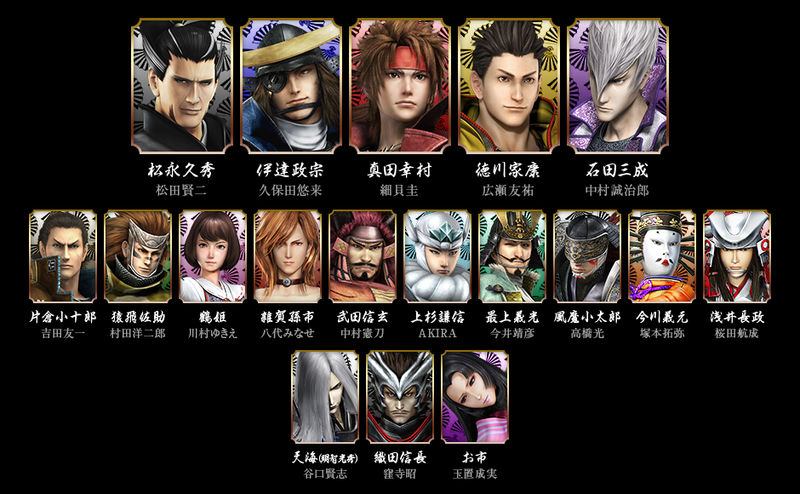 The Butai Sengoku Basara 3 Utage website finally launched today after an exciting countdown which started with the New Year. 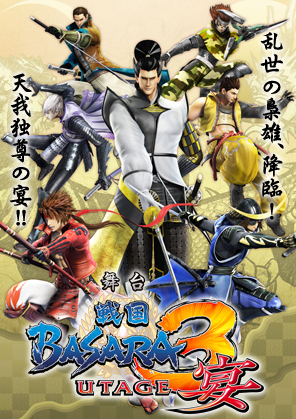 Each day of the countdown had featured a CG illustration of a different Sengoku Basara character (Masamune, Yukimura, Ieyasu, Mitsunari, Kojuurou, Sasuke and Hisahide). As previously reported, the Utage stage play will run between April and May this year at four venues. We now have exact dates, so here they are. All advance tickets cost ¥7,200 and go on sale from next week. It was casting news that fans were hoping for most, especially as Hisahide has never appeared in the stage plays to date. Capcom didn't disappoint us and a live Ustream presentation was arranged to launch the site at midnight (Japanese time). Thanks to being at work I missed the presentation so I've had to rely on the brand new website and some tweets from KobaP for my report. 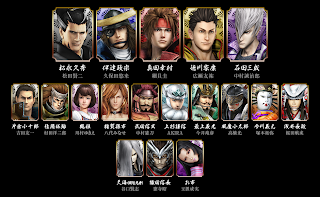 Here is the list of actors who will be taking to the stage to perform Butai Sengoku Basara 3 Utage a few months from now - bold/italics means they're a brand new cast member. Pictures of the cast are now up on the official website. Hopefully those of us who can't go to watch the stage play live will be able to see some pictures of the actors in their costumes nearer the time. 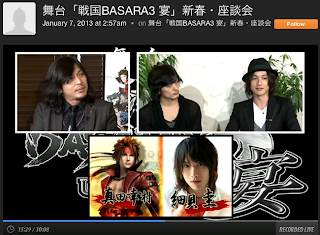 The official recording of the cast announcement, featuring Butai Sengoku Basara mastermind Nishida Daisuke with actors Kubota Yuuki and Hosogai Kei, can be watched on Ustream here. Within a few hours of broadcast the video had been viewed more than 8,000 times. It sounds as though this is going to be yet another successful Sengoku Basara stage play! Hello there, thank you for posting Basara news and info in english! I'm a big fan of the series but do not speak japanese, sad that Capcom only translated SB3 properly. It's a bit hard to find info on the series since most of it is Japan-only now, so thank you again!